Talented young handball players from five regions took part in the Regional Academy camp at Stoke Mandeville, England Handball’s National Training Centre. 71 athletes from the West Midlands, North West, South West, South East and East regions attended. The players worked on technical skills in the mornings of the five-day camp. The afternoons saw the players get match action as they were split into teams to form a mini league. The league concluded on Friday morning in a play-off. Lena Tyter’s team won the girl’s competition on a penalty shoot-out, and Roger Petch’s side claimed victory in the boy’s competition. 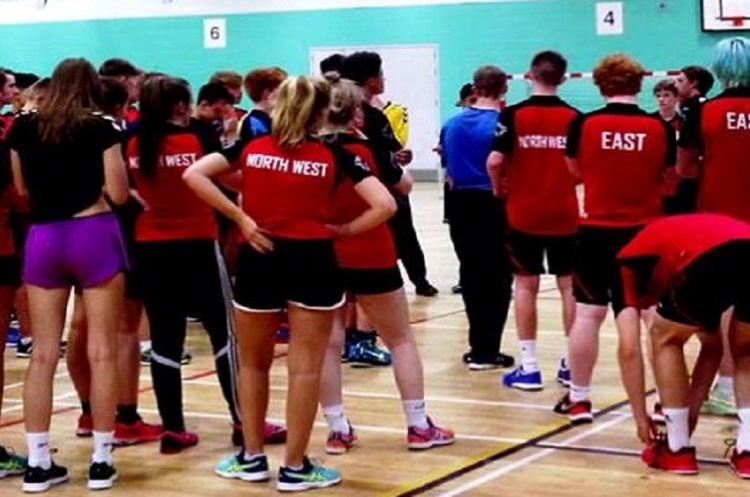 New South West Regional Academy coach Liz Roberts said: "I was overwhelmed firstly by the well organised structure of the camp and secondly by the outstanding level of players in attendance. “It was immediately clear that these kids have been receiving an excellent quality of coaching from their clubs, regional and national academies. They arrived committed, with a solid foundation of skills ready for an intense week of training and matches. “The camp was fortunate enough to have several high-performance coaches working alongside the regional coaches. The coaches provided a wide range of game-specific skills and techniques throughout the week that the players put into their match play. The results were impressive and the progression made by all players was clear to see. It was tiring but exciting week. It is clear the future of the game in the UK has a very bright future."